by Briana Thornton on December 13, 2018 . 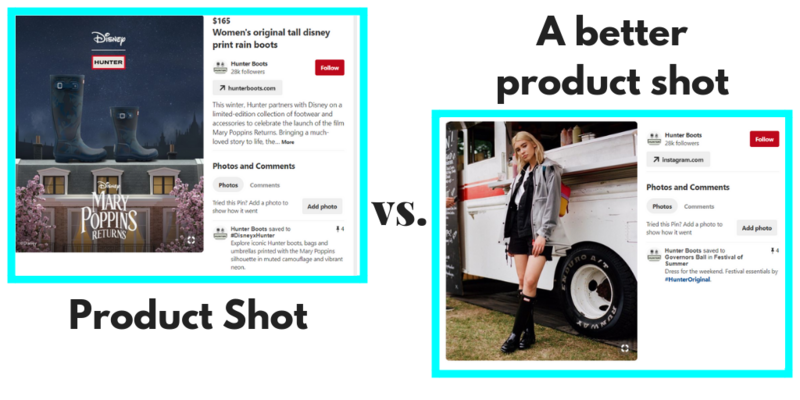 Aside from fueling wanderlust and a desire to bake gourmet food that might not turn out exactly like the picture, Pinterest has some real value for businesses. So if you’re not focusing more of an effort on it, maybe these stats will convince you otherwise. With over 250 million users worldwide, it may not be the social media mammoth that Facebook is, but it’s certainly an important social platform with deep penetration in valuable demographics. 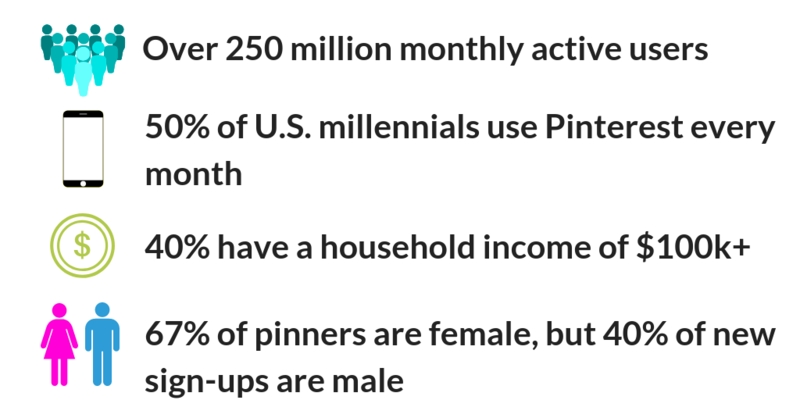 And plus, Pinterest is the only social media platform that is 100% designed to drive inbound traffic. So, if you don’t already have a solid plan of how to incorporate Pinterest into your business strategy, we will focus on how to do just that in this article. Confirm your website. When you confirm your website, it will boost your Pins’ rankings in search results. Now, just start creating boards and pinning applicable content to them. We’ll talk a bit more in depth about what you should be pinning in a bit. If you want people to interact with your Pinterest account AT ALL, you’ve got to make it easy for them to do so straight from your website. 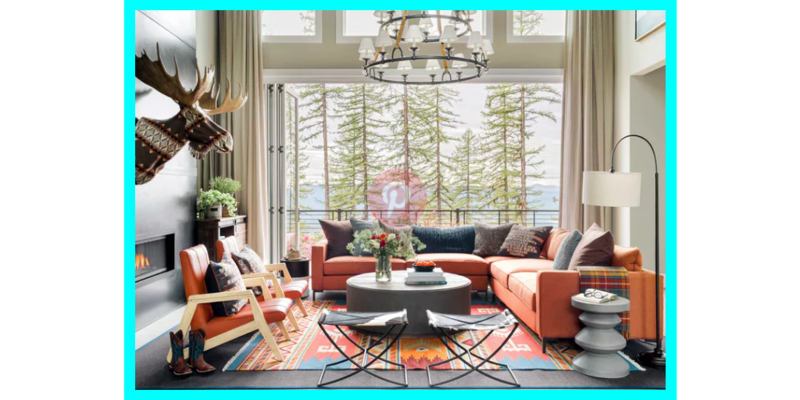 Add a hovering ‘Pin It’ button on all the images on your site so that people can easily save them to their own Pinterest boards. The Pinterest Widget Builder allows you to customize your own Save buttons to fit the aesthetic of your site, so after you create one, you can add it to the margin of your website. Just like with any social media platform, consistency is key. People want to follow active users that are providing value to them on a regular basis and if you can’t be that, well, you’re just going to be unfollowed. Organizing your Pinterest posts ahead of time is a great way to make sure you’re keeping up with a posting schedule. My favorite Pinterest scheduling tool is Tailwind and I highly recommend using it to post at least once a day. Pro tip: Pin every single image from your website even if there’s multiple in one blog post. You really never know what people are going to be attracted to. Bear in mind that 80% of Pinterest users access the app from their mobile devices, so images should be optimized for a small screen. Brainstorm creative ways that you can visually showcase your product and brand. Showing the product and how it can be used or worn does significantly better than showing just the product alone. 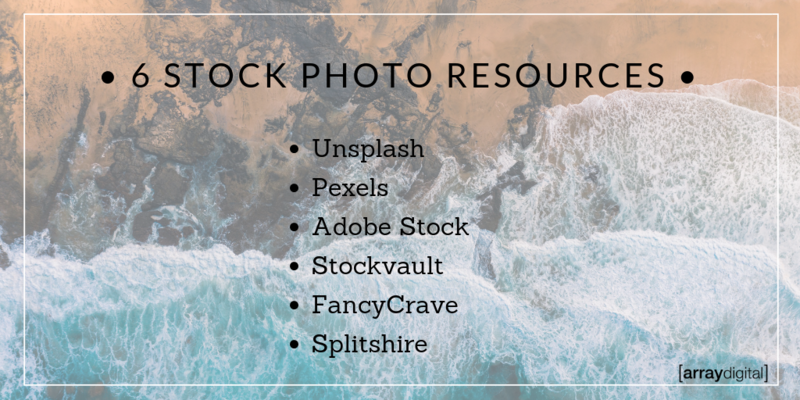 Adding text over your images is also recommended, when applicable, because it can give immediate context to the content that’s linked to that picture. But make sure to keep your pictures clean, as Pinterest specifically recommends avoiding images that are too busy. And consider adding your logo somewhere on the image just so your brand is easily identifiable. Now, as important as the visuals are, the image’s description is what’s going to optimize your searchability. Make sure to include keywords in the description field to tell your audience what it is they’ll gain from clicking on the link. But do so in a natural way because no one likes keyword stuffing. EVER. It’s awesome if you can somehow include your brand name in the first line of the Pin’s description because this drives 2x higher awareness to it. And this should go without saying, but make sure that the linked content actually delivers on what you are promising. A group board is essentially a collaborative board owned by one person who invites others to contribute to it. It’s great for group projects and planning big events but it’s also a great way to engage with other Pinners. You can invite people within your industry, other local businesses, even adding friends to these boards will vastly increase the number of eyes on the content and therefore on your profile. 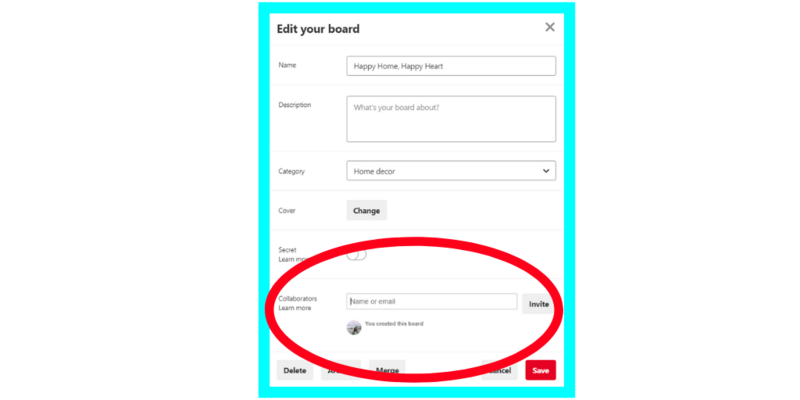 So when you’re pinning evergreen content directly from your site, post it to your personal boards but also to your group boards. This is also a great way to find industry influencers that you can potentially form advantageous relationships with. And like we said in the Instagram article, reply to Every. Single. Comment. Pinterest is a bit more casual and relaxed about commenting and responding to those comments, to the point where many people just don’t reply to messages. But imagine if your brand was the one that did. That can only work to improve your brand’s image. Sticking with the engagement theme, you should connect your other social media platforms. Doing so will help you get more followers by tapping into the ones you already have on other platforms. 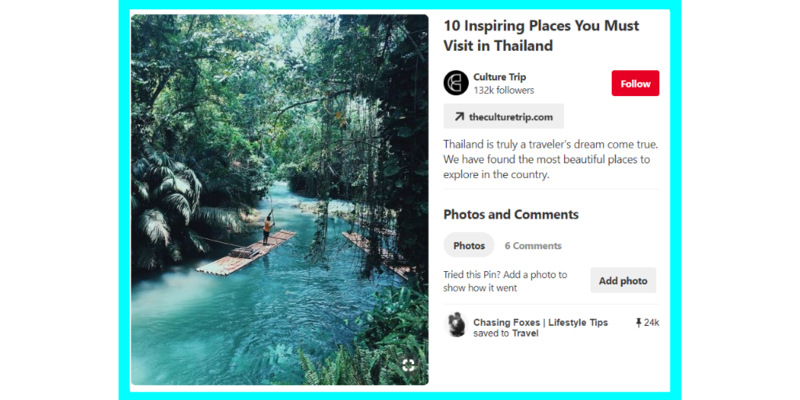 Plus, this will add Twitter and Facebook buttons to your Pinterest account so people can explore your other social networks too. Include keywords in your “About” section, your board names, your Pin descriptions, your optimized username, and by incorporating hashtags. Unsure of what keywords to use? Well, Pinterest is amazing for that; simply type in a word and a row of keywords appears under the search bar. Make sure the images you pin have descriptive file names and alt text. When you’re naming images for your website, use keywords and hyphens so that search engines recognize the image name. For example, the image below might be named “thailand-travel-destination-must-visit” instead of your standard IMG_310.jpg. Relate to your customers. By now, you probably have a pretty good idea of who your target audience is and how they speak. Use that insight when creating pins so that you’re focusing on keywords that those particular people would search for. Include links back to your website. And make sure those links are up-to-date as Pinterest will penalize you for Pins with broken links. Let trending topics and keywords inspire your products and content. Remember that keyword search bar that I just mentioned? Knowing what those popular keywords are can help to inspire what you pin or maybe even what your next product might be. Rich Pins are Pins that have been enhanced using metadata pulled from your site to provide extra context about what Pinners will find when they click on a Pin. Rich pins are available for apps, recipes, products, and articles, almost applicable to any content you might be pinning. These are more highly valued pins because they provide valuable information directly on the Pin. 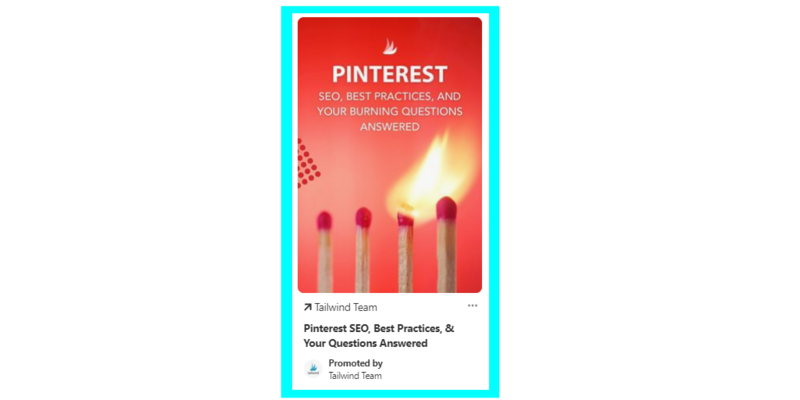 Promoted Pins (aka Pinterest ads) are a great way to increase your brand’s exposure and can be more valuable than other paid advertising options. Here’s why: More than 93% of Pinners use the network to plan purchases. People are on Pinterest to search for new products and the more you’re able to get yours in front of their faces, the more customers you’ll have clicking over to your site. The ads look natural and flow with the rest of the user’s feed: Promoted Pins don’t interrupt or distract Pinners. They actually make Pinterest better, because they help people find new products and ideas. In fact, 73% of Pinners say that content from brands makes Pinterest more useful. You’re appealing to a receptive audience: Promoting your Pins gets your brand in front of more people. Since people use Pinterest to shop and plan, they’re excited to see your products and ideas. They’re also ready to act: 61% of Pinners have made a purchase after seeing business content on Pinterest. 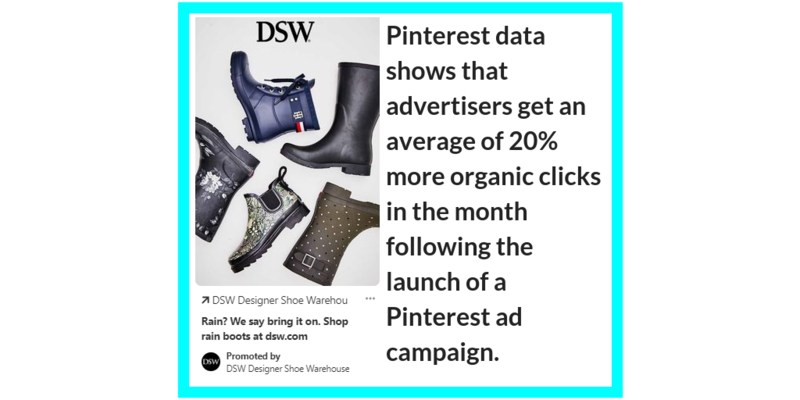 Pinterest ads last longer: Pins are 100 times more spreadable than a tweet, with the retweet average hitting only 1.4%. And, as for Facebook, the half-life of a pin is 1,600 times longer than a Facebook post. You can use geographic targeting: so your ad will only show to people in your specified area. Pinterest advertising can be an affordable option because of how widespread your pins can become. Some users will see your ad, repin it, and then you are acquiring additional exposure that you didn’t even pay for! Promoted Pins have seen massive growth since they were introduced, and now buyable pins are driving major conversions. They enable users to purchase directly from a Pin, without ever leaving Pinterest. It’s just a win-win. Here’s a great way to stand out from your competition: post different types of content. 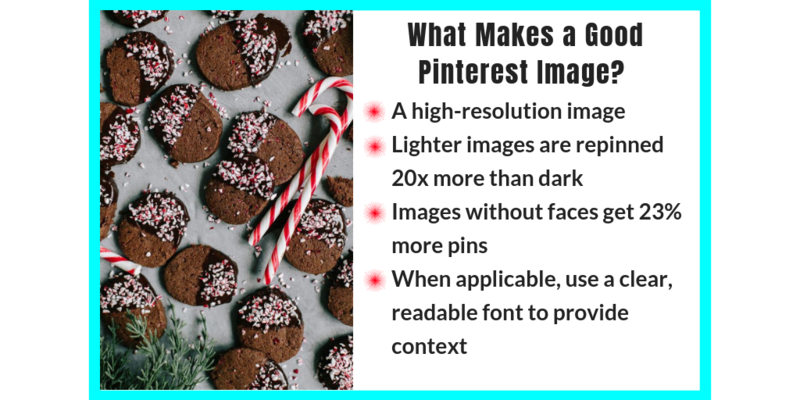 People are so used to seeing still pictures on Pinterest that posting other mediums remains a largely underutilized feature of Pinterest business accounts that you should absolutely take advantage of. You can post videos from YouTube, slideshows from SlideShare, audio from SoundCloud, and podcasts from Spotify, giving you endless options to fill up your content calendar. You also might consider promoting a video campaign, especially if your product has a storyline or is DIY related. But make sure to keep your videos short. No matter how good the content is, people will lose interest if you don’t hook them within the first few seconds. And optimize it to play without sound. There are seemingly endless options for what to post on Pinterest that it might be a bit overwhelming just starting off. Start by creating a board solely for your website content; nothing else, just your evergreen content. And that should be one that you promote consistently and place at the top of your profile, alongside your best boards. Then post things that you think your ideal customer might relate to. What does their lifestyle look like? What sort of products do they consistently buy (besides yours)? 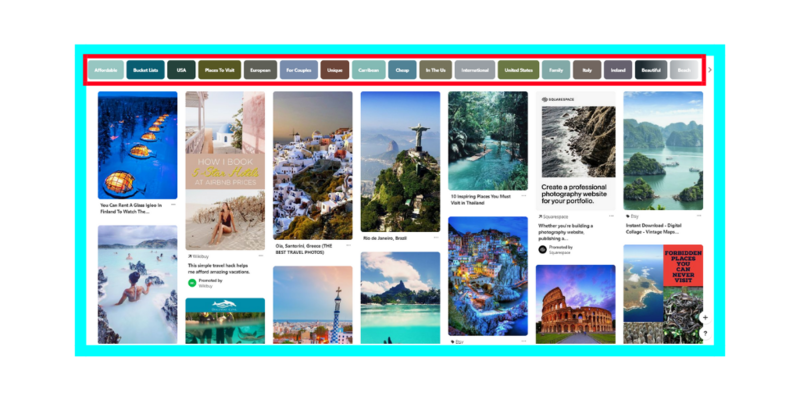 Create boards centered around those different ideas, making sure to give them keyword-rich titles to increase their searchability. Post seasonal content, whether it be for a specific event or just for a national holiday, 45 days in advance to make sure your content is optimized at the proper time.